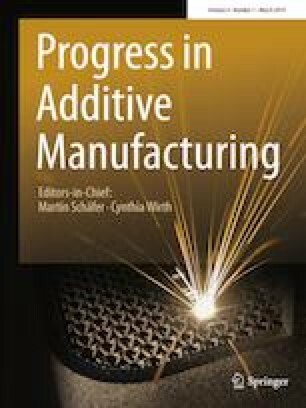 Polymeric structures fabricated using fused filament fabrication (FFF) have limited use in engineering applications as a result of their poor inter-laminar bonding. In this study, we utilize a dual-material print head to encase a low glass transition temperature (Tg) polymer (acrylonitrile butadiene styrene) within a high-Tg shell (polycarbonate). The resulting structure, if annealed at a temperature between the core and shell polymer Tg values, creates a tough interior with high inter-laminar strength while retaining the as-printed three-dimensional geometry of the part. Fracture toughness of annealed, shelled parts was evaluated using single edge notch bend (SENB) fracture specimens and reached values more than 1800% higher than unannealed specimens. Importantly, the annealed specimens exhibited consistent ductile failure and plastic deformation, unlike the as-printed parts which exhibited brittle inter-laminar fracture. Parts with complex geometries are presented to demonstrate geometric stability during annealing and a practical load bearing application.